EXCITING NEWS! And believe me, this is pretty exciting. 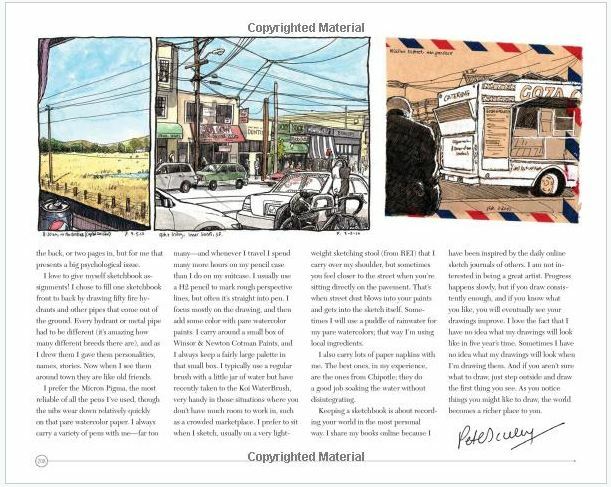 Many of you will have heard of Danny Gregory, renowned sketcher and author of books such as A Creative License, Every Day Matters and An Illustrated Life. 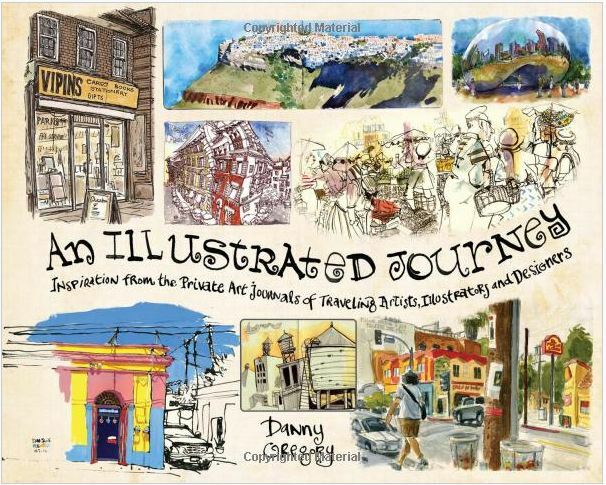 Well his newest book “An Illustrated Journey”, a sequel of sorts to An Illustrated Life, was just published, featuring the travel sketchbooks of about forty artists of, well, like to travel. And I’m one of them! I haven’t received the book yet but I’ve had a peek online, and it looks like an incredible read. I loved ‘An Illustrated Life’ when I got that a few years ago, so I was hoping for a sequel. 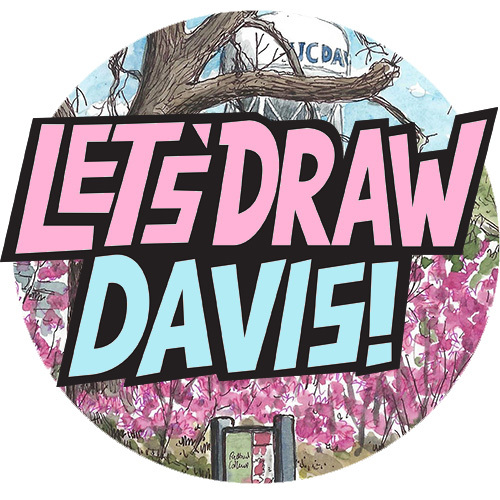 Many of the featured artists I am familiar with (such as through Urban Sketchers or Flickr) and friends with / big fans of, others I’d heard of and am eager to learn more about, and many more I didn’t know so I’m looking forward to finding out about. Thanks Danny for putting me in your book!! Congratulations! The spreads look great. So, will we get to watch a Pete Scully interview??? That really is exciting news. Congratulations!